Brooke and Regan help out at the Waiau community working bee for the local garden. The sun is shining and the air is filled with children’s laughter. It’s coming from Waiau’s newest hub, the community garden. Set up after the November 2016 earthquakes to help people in the small north Canterbury town connect with each other, today a group of busy bees are pitching in to prep for spring planting. It was Jenny’s first experience with an earthquake of that magnitude and an unused, overgrown section on the main road through town gave Jenny the idea to create a garden, available for everyone to use, in an effort to sustain the sense of community that grew following the 2016 disaster. Fast forward almost two years and the garden is overflowing with flowering beans, strawberries, and healthy amounts of silver beet and spinach. Kids from the local school regularly come down to the garden to plant new seeds and try some of the produce. “Yesterday when the kids came down we picked some of the radishes, a lot of them had never tried a fresh radish before,” says Jenny. Jenny Holt has been the driving force behind the garden and getting it off the ground. 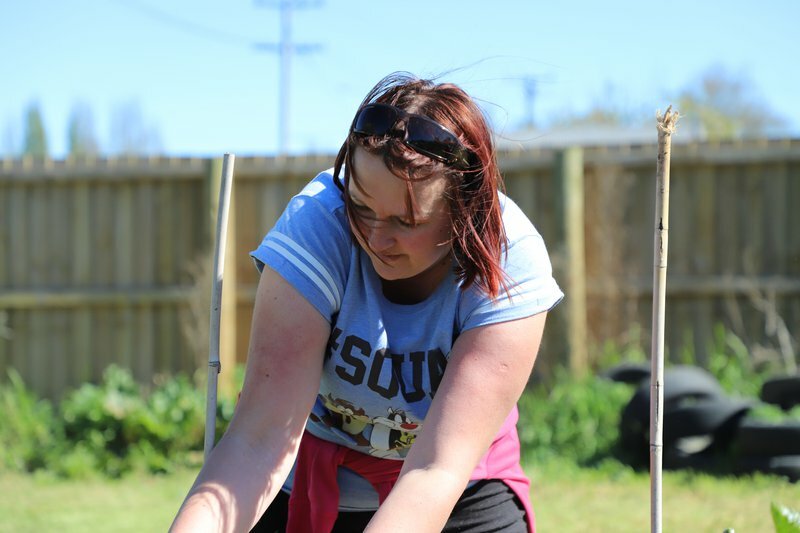 Today the children have dragged their parents along to the working bee where, as well as the weeding, participants are building a library for the children to spend time in and a garden shed for the tools. Red Cross is also present, providing a BBQ lunch and espresso coffee for the hardworking residents and handing out torch radios as an addition to people’s emergency kits. As well as having household emergency plans, residents of Waiau are now safe in the knowledge that they have a connected community that can turn to each other for support. Jenny believes the garden will also have practical uses if the town finds itself cut off during future emergencies. “Things happen beyond our control and at least now we know that year-round we have at least some food growing,” she smiles. Find out how you can help prepare your community for a disaster head here.